Wasn't that a fantastic week? It's so delightful to see these courageous designers putting out their very best sewing creations for everyone to see and judge and be inspired! 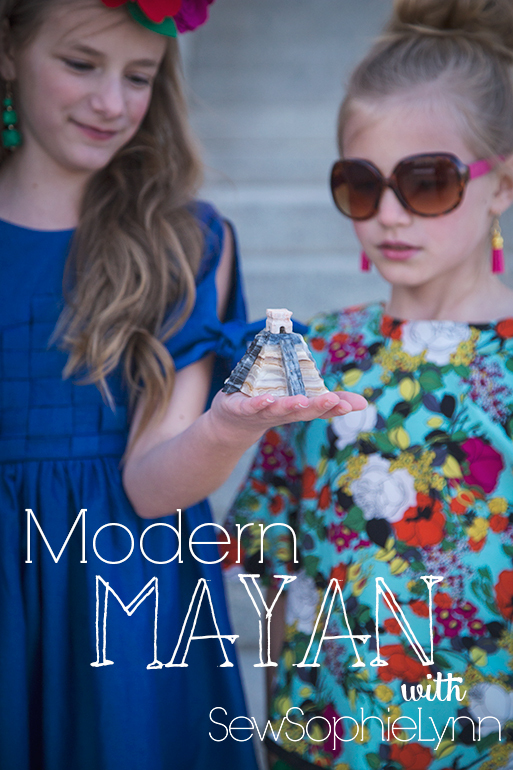 My favorite overall is the Modern Mayan! The shorts look so comfy with the top. It looks easy to wear and move in. And I love her color and pattern choices. The detailing on the dress is so beautiful and unique. And the styling with the accessories is just perfect. It all goes together beautifully. This Hanging Gardens of Babylon by Raphaelle of Deux Souriceaux. Link up your 7 Wonders inspired creation here. Everyone did a fantastic job. All the creations were so inspiring. Well done ladies!